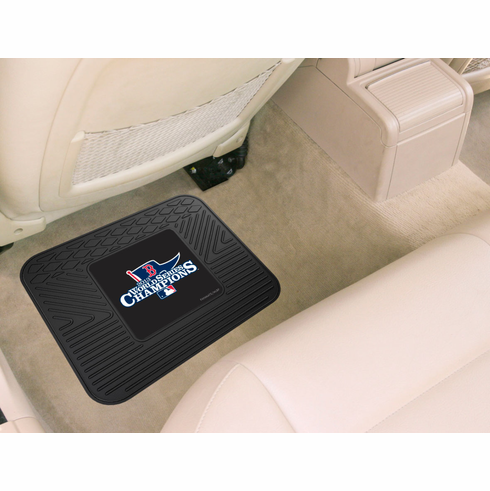 This set of two Boston Red Sox 2013 World Series Champs premium all-weather automobile utility mats is perfect for just about any car or truck. ~ Raised outer rim and multi-level channels. ~ Skid-resistant surface with non-slip grip backing.